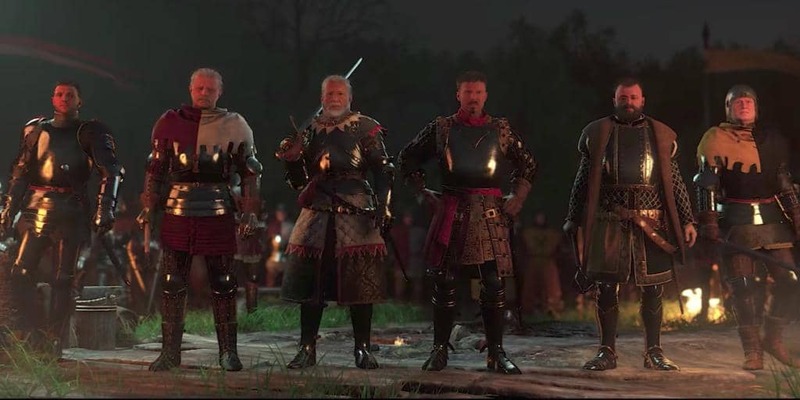 Kingdom Come: Deliverance Release Date Set for February 2018 | Nerd Much? Publisher Deep Silver and developer Warhorse Studios have announced a release date for their game Kingdom Come: Deliverance, February 13, 2018 on the PS4, Xbox One, and PC for $59.99. The trailer features the main story campaign of the game, in which the player takes the role of Henry, the regular son of a blacksmith. Not long after admiring his father’s best work, the village is raided by King Sigismund and burned to the ground. By a twist of fate, Henry is the only survivor, and promptly swears revenge for his village and country. Thus comes the civil war. Through castle, fields, and forests, the player can choose how to solve quests and deal with the consequences of their actions — whether it be through fighting, stealing, seduction, intimidation, persuasion, or bribery. Combat is equally varied, using the advantages of distance, stealth, or melee. Kingdom Come is an open-world RPG placed during the Holy Roman Empire and takes cues from the real world history. The player will be meeting historically accurate characters and experience the world as it was during the medieval time period for Bohemia. According to a few of the videos on Warhorse’s YouTube channel, a great deal of the settings, costumes, and fighting styles were well researched and found across the country where the game is placed. That said, the new trailer does seem to imply that Warhorse took quite a bit of inspiration from the Witcher series. The civil war, vast forested lands, and castles feel very familiar, but that could be because Bohemia has similar historical roots as Poland. The countries do share a long border, after all.